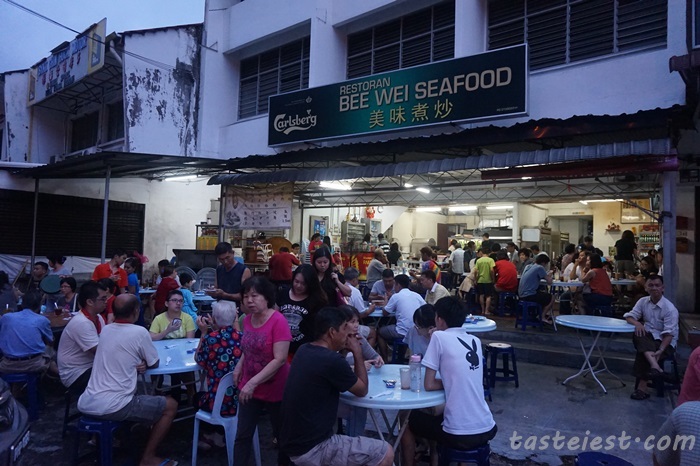 Bee Wei Chinese Restaurant located at Jalan Air Itam, if you coming from town then it will be on your left side. Parking is a big problem in this area as only limited “illegal” parking lot available else you need to park at the housing area or opposite and cross the main road. 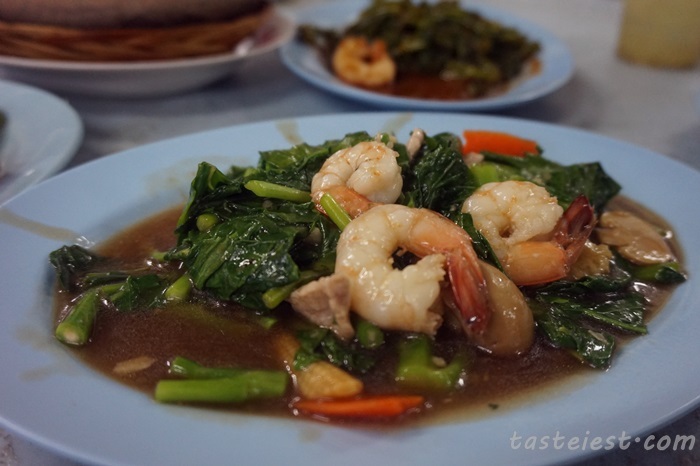 Try to be there as early as possible as their service is not that fast and always full house around 7 something. 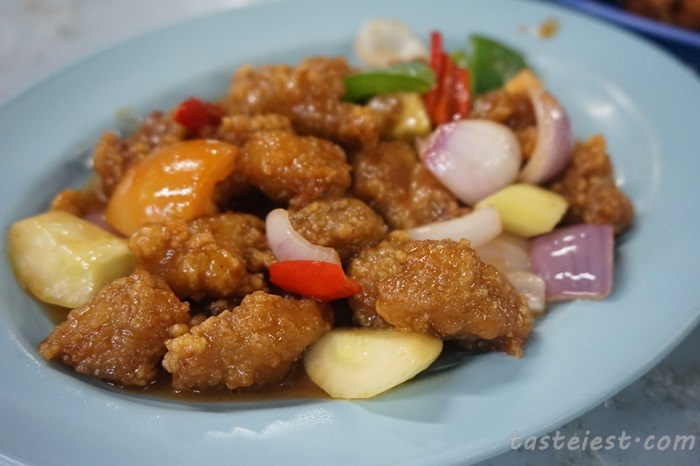 Sweet and Sour Pork (Ku Lou Yok) RM10, deep fried pork meat cook with sweet and sour sauce, too bad that the deep fried pork is not crispy enough else it would be perfect. 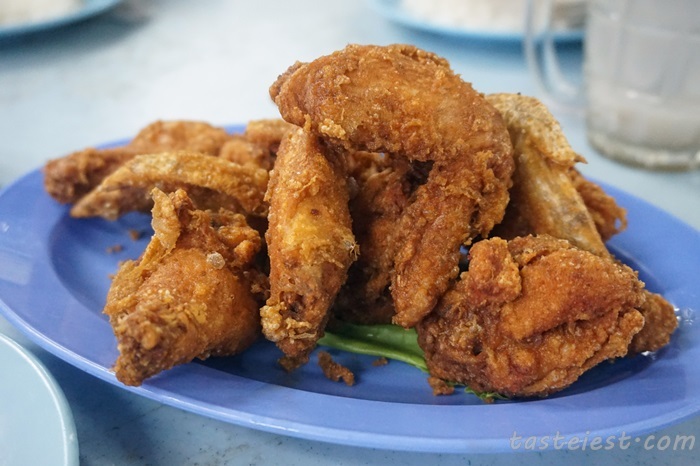 Belacan Chicken RM10, chicken is nicely marinated with belacan sauce and deep fried to very crispy skin, the meat is full of flavor and taste extremely good. 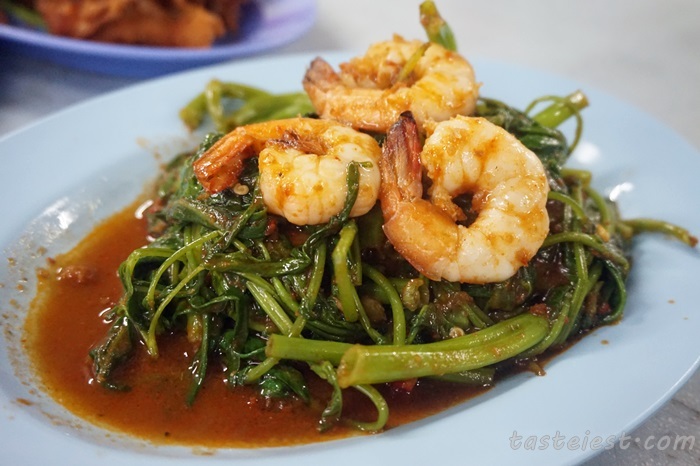 Sambal Kangkung RM8, i think they increase the price slightly but it still worth is as you can see 3 big prawn are use to cook together with kangkung, nevertheless the spicy sambal still taste very good. 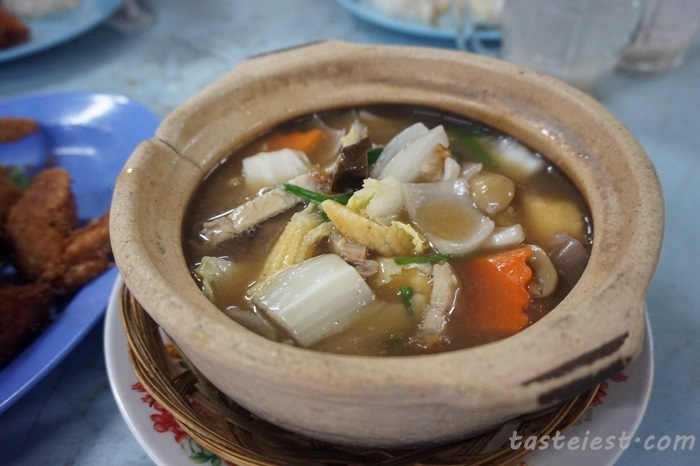 Claypot Tofu RM9, mixture of assorted vegetable cook with tofu in thick sauce.